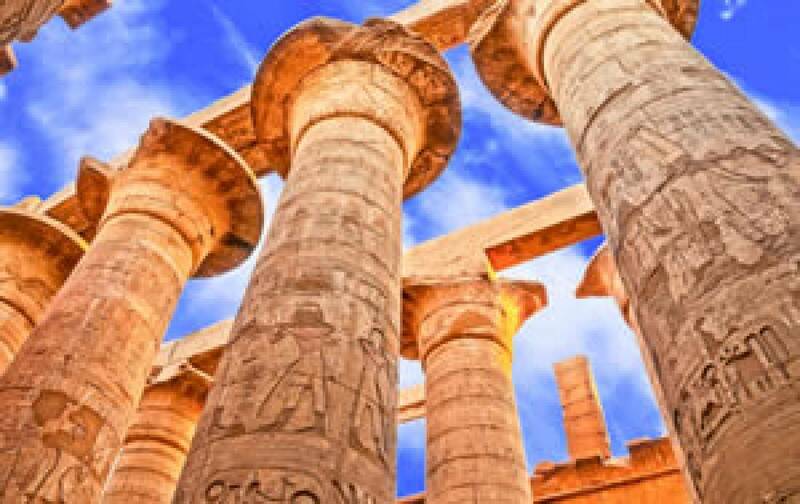 At 11:00 am Pickup from your Hotel by our guide and transfer you to downtown of Cairo where you visit the Egyptian Museum of antiquities. It displays the largest and most precious items of the Egyptian art in the world. It exhibits a rare collection of over 250,000 genuine artifacts that date as far back as 5000 years, including an exclusive exhibit dedicated to the TutankhAmon - A collection of treasures, gold, and jewelry that were buried in his tomb for over 3,500 years before they were discovered in the 1920s when his tomb was excavated. Breakfast at the Hotel then at 8 am Pickup from the Hotel to Start your full day tour visiting Giza Pyramids Where you Visit the Great Pyramids - Cheops, Chephren & Mykerinos then Visit the Valley Temple where the Priests Mummified the dead body of King Chephre Also there you will have a close-up look at The Sphinx - The legendary guardian that stands by the huge funeral complex with its lion body and the head of king Chephren. Then Continue your day tour to the Old Cairo that known as Christian Coptic Cairo which is Among the most important locations visited by the Holy Family where the spiritual impact of their presence is most felt still; though their stay was brief, for the Governor of what was then Fustat enraged by the tumbling down of idols at Jesus' approach sought to kill the Child. But they took shelter from his wrath in a cave above which, in later years, the Church of Abu Serga (St Sergious) was built. This, and the whole area of the Fort of Babylon, is a destination of pilgrimage not only for the Egyptians but for Christians from around the world. An air of piety and devotion pervades the whole district there. Also There you will be able to visit and Enter the Church of Abu-Sergah and St. Barbara, the hanging church, and the old jewish synagogue - Ben Ezra Synagogue. Breakfast at the Hotel . then early morning around 4:00 am check out and Transfer to the domestic airport to take your flight to Luxor. 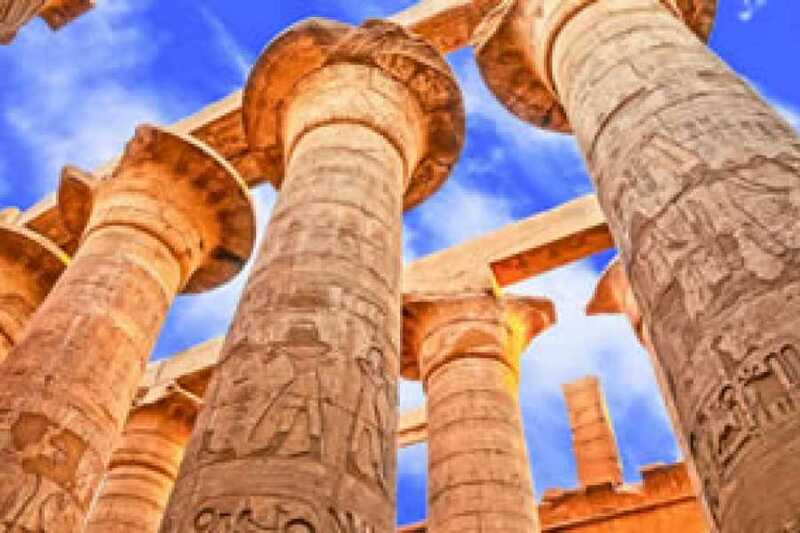 Arrival Luxor by 6:00 am Our representative will meet you then start your Full Day Tour to The West Bank visiting Valley of Kings-Deir El Bahari Temple-Colossi of Memnon and the Temple of Queen Hatshepsut.Excursion to the Necropolis of Thebes, on the Eastern bank. Crossing the Nile, drive to the Valley of Kings; visit the tombs of various Dynasties, The Temple of Deir El Bahari. On the return journey stop atthe Colossi of Memnon which are two gigantic sitting statues representing Amenophis III facing the Nile. Visit the Temple of Queen Hatshepsut. 1 Full day tour in Cairo visiting the Pyramids, Sphinx,Old Cairo,and Khan El Khalili. All your tours and excursions are with Private A/C Vehicle.